Wow. I did not realize they had so many 5K races in addition to the half and full marathons. I believe every race weekend now includes a 5K. Yes, but I think we ended up getting up around 4:00 am for this race..lol. Aw, I wish I was running this race! Is the marathon here yet?? I miss Disney! I'm getting anxious for marathon weekend too! Great information, thanks! I'm thinking of doing Wine & Dine next year and Mike was interested in the 5k option so I'll share this with him. I certainly would not hesitate to do this race again! Maybe next year? Very cool. Thanks for sharing. This one looks like a lot of fun because it hits another park and I love the Christmas theme as well. Yes, I liked the Christmas theme! Can't wait to run this in a few weeks :) Thanks for all the information! Oh you are going to have So much fun! 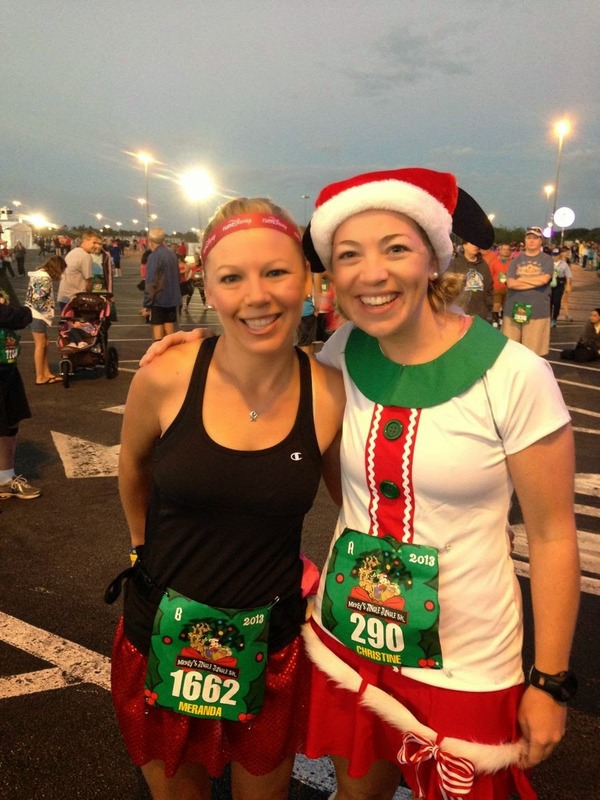 If we lived closer (that is, within the same time zone), we would do this race as a "holiday kickoff" each year -- I love how Disney does the holidays! It certainly was a great holiday race to do. Disney did well with the theming! I'm a little disappointed that I didn't sign up for the 5K this year but I'm sure my body will thank me when I'm making it stay awake until 4:00 a.m. after running 13.1 miles. This looks like a really cute race! 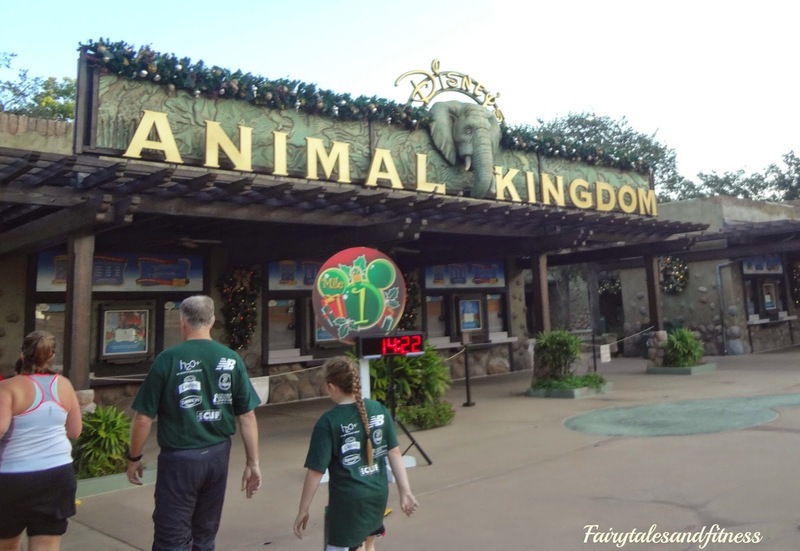 I've only done runDisney 5K's that begin and end at the ESPN WWoS thus far and running through Disney's Animal Kingdom again sounds like so much fun! It was a definite highlight during the WDW Marathon. 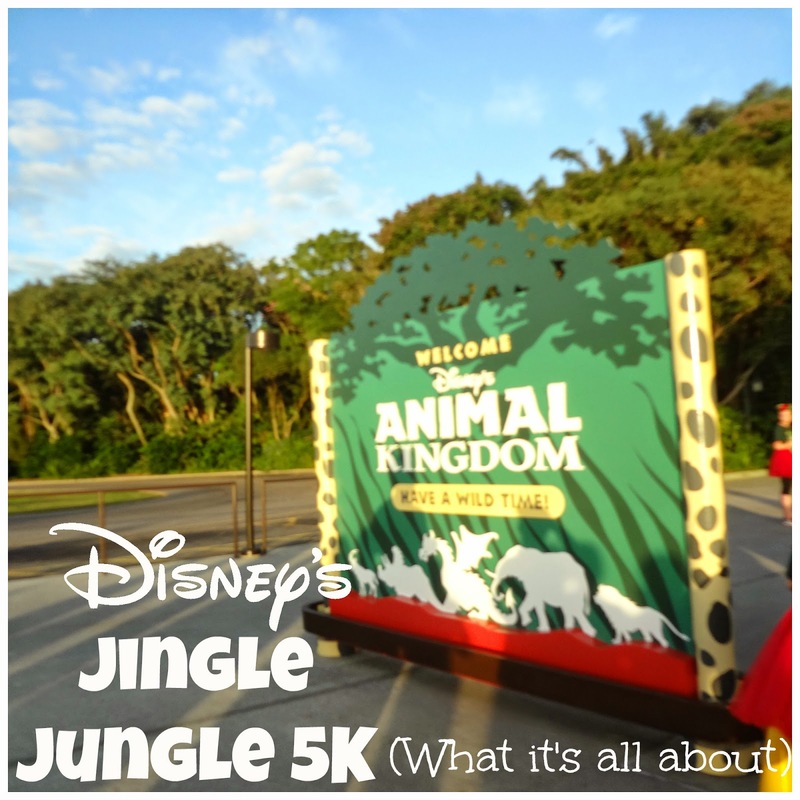 I actually like the Jingle Jungle 5K better than the trail one at ESPN. Actually the best 5K is the one during princess weekend ( in my opinion). Aww, I love that this is Christmas themed! I'm still trying to get a lot of my friends to join the runDisney bandwagon...hoping I can tempt them with a 5k at least! We've never run a Disney 5K, but they always look like a lot of fun! I'll admit it- this is the only runDisney 5K I haven't done yet. so I couldn't wait to read your review Meranda. I love running through Disney's Animal Kingdom during the half, so I know I would love this route. PLUS, there seems to be no better way to kick off the Christmas season! Thanks so much for co-hosting the hop- you are a wealth of runner info girl! !